Activity in the global shipping and shipbuilding market continues with remarkable things for us. 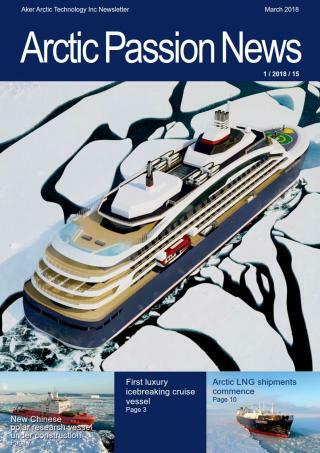 The combination of an extremely heavy icebreaker and cruise vessel is our new challenge. While you are reading this magazine, LNG shipments are going at full pace from Sabetta terminal. The operation to bring these first-ever Arctic LNG carriers on line has been a success. We can expect new types of activities in polar shipping and never stop developing our own solutions.